Please be advised that there will be no Ward Night on Tuesday, November 6. I encourage everyone to make sure to get out and vote in the 2018 mid-term elections if they already haven’t done so. Through November 5, you may vote early at any early voting location. The 16th District Police Station, 5151 N. Milwaukee, is the early voting location in the 45th Ward. Other early voting locations and hours throughout the city are available on the Chicago Board of Election’s website. On November 6, you are required to vote at your polling place. You can find your polling place by entering your address on the voter’s information page on the Chicago Board of Election’s website. Polls close at 7 pm on election day. You may register to vote at ANY early voting location or at your polling place on November 6. You will need two forms of identification, one which must show a current address, to register to vote at a polling place. A list of acceptable forms of ID are available to view on the Chicago Board of Election’swebsite. 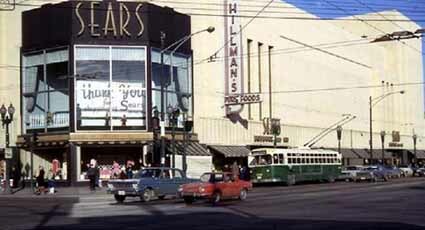 The developers for the former Six Corners Sears will be listening to your suggestions and recommendations at a community planning meeting to be held 6:30 p.m., Wednesday, November 14, at the former Sears site, 4035 N. Cicero. I have partnered with the Six Corners Association to host an input session where community members will be able to provide direct input to the development team of Seritage Growth Properties/Tucker Development Corp. This will also provide the developers an opportunity to introduce themselves to the community. It is too early in the process for the developer to present a proposal. Instead, this meeting will be your opportunity to tell the developers how you think this important site can serve the community. Of course, I am aware that a concept plan did appear on a real-estate broker’s website. Those plans, however, were just concepts shopped around to tenant prospects. They have not been vetted nor codified by me, the city’s planning department, or – most importantly – the community. As far as I’m concerned, the site remains a blank slate. I urge you to attend this meeting to share your thoughts. After tirelessly working alongside Ald. Pawar, Ald. O’Connor, Ald. 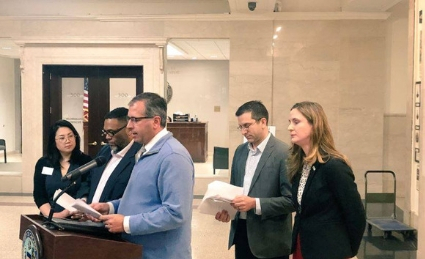 Ramirez Rosa, Arise Chicago, and SEIU for the past three years, I am pleased to announce that on Wednesday, the City Council unanimously approved the creation of the Office of Labor Standards. The new office will start January 1. This office, which will be an extension of the Department of Business Affairs and Consumer Protection, will be responsible for enforcing the minimum wage ordinance, the paid sick leave ordinance, and anti-wage theft laws. The OLS would also be responsible for the proposed Fair Workweek Ordinance, of which I am a co-sponsor, if it passes City Council. By enforcing laws that protect workers, the OLS will protect wage-earners from predatory employers, and it will ensure that those employers who are following the rules are competing on a level playing field. The OLS will also be tasked with conducting community outreach to educate employers and employees about workplace laws. The outreach efforts will be funded, in part, with money collected from violations. 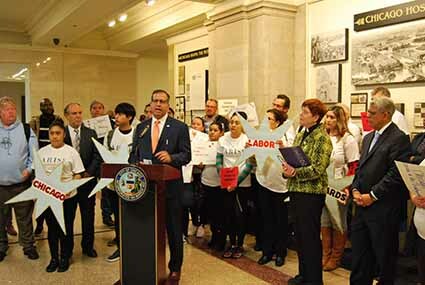 I am confident that the implementation of the OLS will strengthen the effectiveness of the forward-thinking policies we have enacted to protect Chicagoans and improve their working conditions. The Department of Water Management announced Thursday that the preliminary data they have had since June indicated a portion from a small sample of homes that have had water meters installed have reported increases in lead levels. The delay in notifying owners of metered homes that their water could potentially contain lead is negligent and egregious. Our residents deserve full transparency on these public health matters. It is our duty to take swift action to ensure that our drinking water is safe and clean. The Department of Water Management will be sending free water filter pitchers to homes that had above EPA action levels of lead. I highly recommend any home with or without a meter to request a water test kit from the city to have your water tested. I will be working closely with my colleagues at City Hall to address this situation so our families can be at ease that their drinking water is safe for consumption. 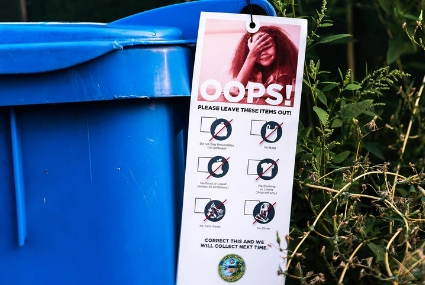 The city’s recycling program has failed its residents, as the recent BGA’s report released earlier this year outlined for us. On Thursday, I stood alongside the Illinois Environmental Council, the Chicago Recycling Coalition, and Illinois PIRG to identify measures we can take to improve our recycling program and the sustainability of our city. These measures include a permanent auditing system, a detailed breakdown of cost-per-ton to recycle for each of the providers, improved educational outreach, and financial incentives to encourage residents to divert recyclables from our landfills. Our residents are currently paying fees on their water bills and through their taxes for a system that has failed them. We must change that. The Cook County Board of Review will be open for property valuation appeals for the Jefferson Township beginning Wednesday, November 7. Jefferson Township residents will have through Thursday, December 6 to file an appeal. The Cook County Board of Review has set up an online portal to help simplify the appeal process for property owners. I do recommend that homeowners file an appeal annually. Dust off your thinking cap and gather your teammates…it’s time for Carlson’s Trivia Night! The annual contest will be held on Friday, November 2nd to benefit Carlson’s after-school program, community garden and concert series. Teams of 8 can purchase a table for $280 ($300 after October 29th). Wine, beer and soda will be sold at the bar. Bring your own snacks! 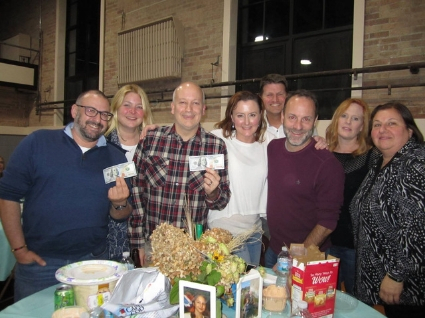 Trivia Night takes place at the Irving Park Lutheran Church gym at 4057 N. Harding from 7:00 to 10:00 p.m. The event is open to adults 21 and over. For more information or to register your team, e-mail Helen Lira at helen@chilira.com or 773-406-9821. Carlson Community Services is a 501(c)(3) non-profit that helps at-risk kids succeed with The Magic After-School Place (MAP), provides vegetables to people in need and beautifies our neighborhood with Three Brothers Garden and makes fine arts affordable and accessible through the Irving Park Fine Arts Concert Series. For more information, visit Carlson Community Service’s website. 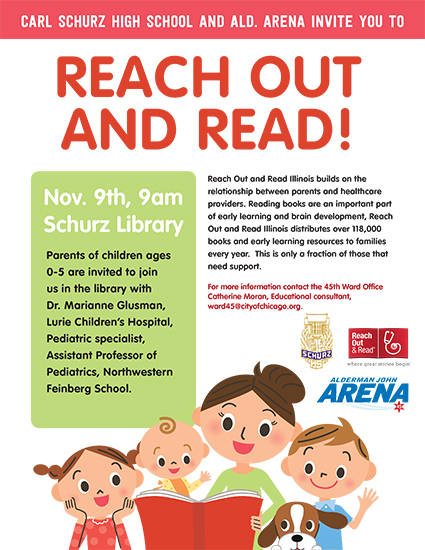 Parents of children ages 0-5 are invited to attend a Reach Out and Read event at Schurz High School, 3601 N. Milwaukee, on Friday, November 9 at 9 am. Dr. Marianne Glusman, a Pediatric Specialist at Lurie Children’s Hospital and Assistant Professor of Pediatrics at Northwestern Feinberg School, will be attending as a guest speaker. Reading books are a vital part of early learning and brain development. Reach Out and Read Illinois distributes over 118,000 books and early learning resources to families every year to help students stay on track developmentally. They also strengthen the relationship between parents and their healthcare providers. For more information, email my office atWard45@cityofchicago.org. What’s better than enjoying some wine and cheese? Supporting the community while drinking wine and eating tasty cheese. 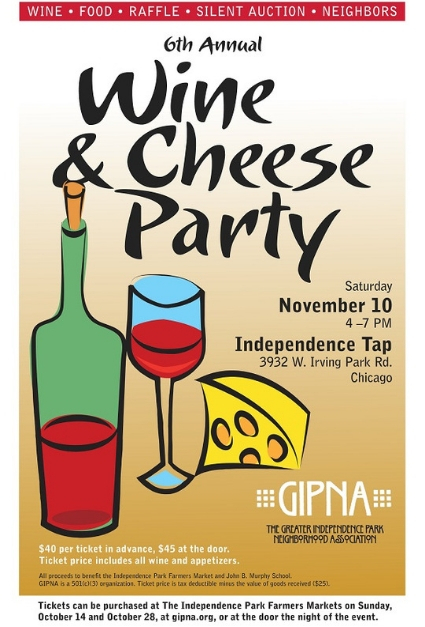 On Saturday, November 11, GIPNA will host its sixth annual Wine & Cheese Party, a fundraiser to benefit John B. Murphy School and the Independence Park Farmers Market. Tickets to a night full of fun and feasting only cost $40 onlinein advance, or $45 at the door. There will also be a silent auction, with great prizes including a membership to the Museum of Contemporary Art, tickets to the Chicago Symphony Orchestra, and much more. The event takes place on Saturday, November 10, from 4 pm to 7 pm at Independence Tap, 3932 W. Irving Park. Gobble gobble! This is a fun free throw contest for all ages! 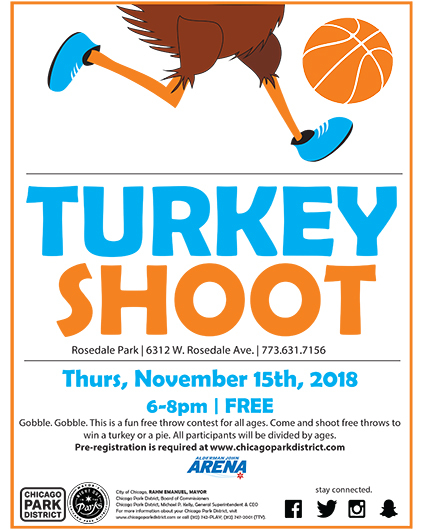 Shoot some free throws at Rosedale Park, 6312 W. Rosedale, from on Thursday, November 15 from 6-8 pm. Participants will be divided by age and will have the chance to win a turkey or a pie. Pre-registration for this event is required. Participants can sign up on the Chicago Park District’s website. For more information, call Rosedale Park at 773-631-7156. Please be aware that starting in November, Department of Water Management crews will begin to install a new water main along West Grace from North Laramie to North Cicero. The old water main is over 100 years old and needs to be replaced. With crews working in the street, there may be closures or traffic restrictions for safety reasons. However, residents will always be able to reach their homes or businesses. Outside of working hours, a travel lane will be left open for local traffic only. “No Parking” signs will be posted as needed during work hours (generally 7 am to 4 pm). Parking outside those hours will be allowed, but cars will need to be moved by the start of the next workday. Crews will try to preserve as much parking as possible. My office and the Department of Water understand that construction always involves inconveniences and noise. Crews will do everything possible to maintain residents’ quality of life throughout this project and will conduct themselves as good and thoughtful neighbors in the course of their presence on the street. If you would like to receive regular email updates about the project, you can register online for the WaterALERT program. Simply enter your name, email address, and the project identification number. The project identification number for this water main replacement is 1901036. By signing up for WaterALERT emails, you will be notified as the project enters each new construction phase – from the mobilization of equipment onto the site, to the installation of new pipes, to the final restoration of the street. The completion of the water main installation is anticipated to be completed in January 2019. Once the water main is installed, the street will be restored so that traffic is not impacted. However, the final restoration is weather dependent and may not occur until the spring of 2019 or until weather permits. Should you have any questions or concerns, you can either as the construction foreman on the project site, email my office at ward45@cityofchicago.org, or call the DWM Office of Public Affairs at 312-744-6635. Thank you for your ongoing patience as these important infrastructure improvements are completed. 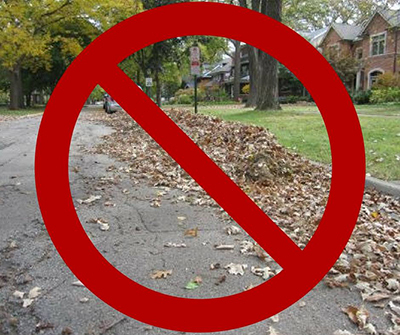 Please remember that it is illegal to blow leaves into the city streets. When leaves are disposed of in our streets, it clogs the drains and makes it so street sweepers cannot effectively clean the streets. Additionally, unless Streets and Sanitation witnesses a lawn care contractor blowing leaves into the street, a homeowner can be held responsible for the actions the contractor takes. Instead, please bag leaves and yard debris for the Department of Streets and Sanitation to collect. Residents can call 311 or my office at 773-28-4545 to request separate bagged yard waste collection service April through November. Keeler Gardens, 3631 N. Keeler, and local resident Michele Mason were honored with the Chicago Excellence in Gardening Awards (CEGA) on Saturday, October 13. 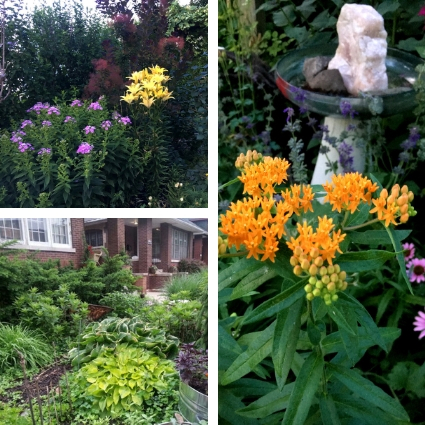 CEGA is Chicago’s only citywide gardening awards organization. Keeler Gardens and Michele Mason were among 65 Chicago gardeners honored at a ceremony at the Garfield Park Conservatory. The awards recognize the hard work and creativity that make our city a healthier, more beautiful, and a more sustainable place. They support the pride we take in our neighborhoods and help us build our communities. I hope you will take a moment to celebrate and congratulate their efforts in beautifying our neighborhoods. The Joined Hands Food Pantry has been serving the Northwest Side for more than a decade, in conjunction with St. John’s Lutheran Church and School, Our Lady of Victory Parish, the Greater Chicago Food Depository, and the St Vincent dePaul Society. Their pantry provides more than 150 families with food every week throughout the year. 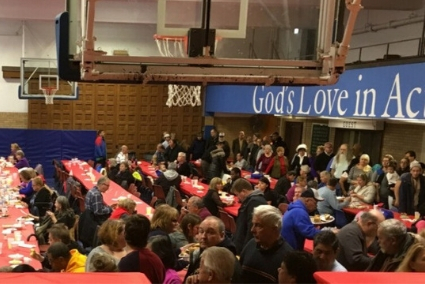 They also aid other pantries in the area, and they host a Thanksgiving Dinner open to everyone. Last year, they turned to the community for financial help so they could put this event on, and it was a great success. This year they are asking for your help again.They hope to reach their funding goal by November 10, about two weeks before their Thanksgiving meal. Please donate to their campaign and share with your friends so that Joined Hands can make this Thanksgiving special for hungry families in need! The Schurz College and Career team is hosting two school wide career days on Wednesday, November 7 and Wednesday, November 14 at 8 am to provide students with the opportunity to meat and learn from volunteers in their chosen career paths. Career Day provides a platform to develop more meaningful and personal connections between students, alumni, parents, teachers, and friends of Schurz. If you are interested in volunteering, please complete the Google form and Schurz will contact you with more details. Come together with loved ones to join young Gerda on an epic journey to the North Pole. Together your hearts will be warmed with playful activities, whimsical puppets, and sweet hot chocolate! 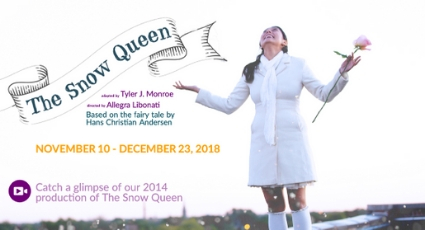 Reserve your tickets today for this unique family experience! Tickets start at $12 and are available online. Do you have an exceptional neighbor or know a business person, community activity, or youth member who is dedicated to the amelioration of the Northwest Side? If so, nominate them to be featured as a 2019 Northwest Side Hero. The Jefferson Park Chamber of Commerce, Six Corners Association, Jefferson Park Forward, the Gladstone Park Chamber of Commerce, and my office have partnered with local resident Nora Kerr and her business Memoir For Me to share the stories of our local heroes. The northwest side of Chicago is filled with remarkable individuals, and now is the chance to tell a story to a larger audience. Nominees must be either a resident or owner/employee of a northwest side business or organization. For the purposes of this project, Memoir For Me is defining the “northwest side” as north of Addison and west of the Kennedy Expressway. There are no age restrictions. Nominations can be completed online and will be accepted now through December 31, 2018. Drop-in camps run from 9 am to 2 pm and cost only $10 per day. For more information and to register, visit the Chicago Park District’s website or sign-up in person at the Rosedale Park field house. 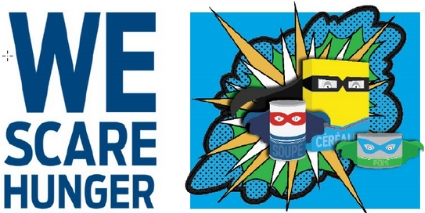 Portage Park Elementary School, 5330 W. Berteau, is hosting aWe Scare Hunger Food Drive October 29 thru November 9. Bring non-perishable food (no glass, please!) to the school to help those in your community who are struggling with hunger. The U.S. Census Bureau is now recruiting to fill positions for the next census in 2020. An accurate count of the population is imperative to secure federal funding for municipalities and determine political representation. The Census Bureau provides the opportunity to work in a fast-paced organization with a diverse and talented staff to complete one of the largest and most important projects in the United States. This is a great way to get paid while helping your community. 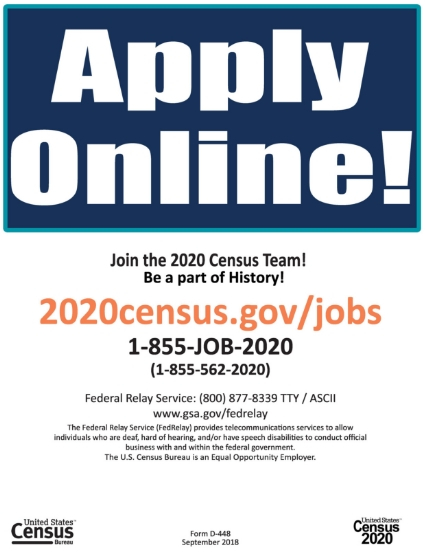 For more information and to apply, visit the 2020 Census jobs website. Sat. Nov 3, 1:30-6 pm, Tata’s Tacos, 4929 W. Irving Park. LifeSource Coach Bus will be parked at Tata’s Tacos on Saturday for a Blood Drive.This is a simple way to give back. Free. Tue., Nov 6, 7 pm,Independence Park Bungalow, 3900 N. Hamlin.Join neighbors to learn how you can participate in your neighborhood at the monthlyGIPNA Meeting.Free. 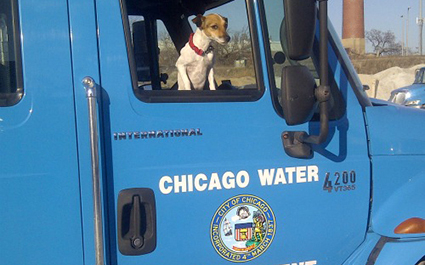 Wed., Nov 7, 6 pm, CTA Headquarters, 567 W. Lake. 2nd Floor. There will be a Public Hearing on the 2019 CA Budget.Free. Sun., Nov 11, 9 am-3 pm, St. John’s Episcopal Church, 3857 N. Kostner. Start your holiday shopping by attending aPottery Pop-Up Sale! Handcrafted pottery by three local artists: Heidi Ellison Childress, Deborah Schneider, and Jeannine Ringland-Zwirn. Come to shop and stay for lunch! Delicious vegetarian and meat chili and homemade baked goods available for purchase. 10% of all proceeds benefit the mission and ministry of St. John’s. Cost of Purchases. Mon., Nov 12, 7 pm, Irving Park Baptist Church, 4401 W. Irving Park. Meet neighbors and discuss how to improve your community during the Old Irving Park Associationmeeting. Meetings take place in the church basement. More info: online.Free. Tue., Nov 13, 9 am-1 pm, 1101 Taft Ave, Berkeley, IL. The DC14 Apprenticeship Program hosts anOpen House. Learn about apprenticeship programs on painting and drywall finishing. RSVP by November 9 toJessica Kollman.Free. Tue., Nov 13, 7 pm, Oriole Park, 5430 N. Olcott.Learn what you can about crime during the 1613 beat meeting. Find your beat at the45th Ward map. More info: 312-742-4521. Free. Tue., Nov 13, 7 pm, Kilbourn Park, 3501 N. Kilbourn.Learn what you can do about crime during the1731 beat meeting. Find your beat at the 45th Ward map. More info: 312-742-4588. Free. Wed., Nov 14, 10:30 am-12 pm,Ed Paschke Art Center, 5415 W. Higgins. The Portage Park Village is hosting aEd Paschke Art Center Outing. You will get a guided tour of the art center and some light refreshments. Limited space, so RSVP at 312-744-9022 or visiting the front desk at the Portage Park Senior Center. No transportation provided, you will need to arrange that on your own.Free. Wed., Nov 14, 7 pm, Athletic Field Park, 3546 W. Addison. Learn what you can do about crime during the 1732-1733 beat meeting. Find your beat at the 45th Ward map. More info: 312-742-4588. Free. Thur., Nov 15, 5:15-7:45 pm,Location TBD.Every third Thursday of the month, the Gladstone Park Neighborhood Association and the Gladstone Park Chamber of Commerce host aThirsty Third Thursday at a local watering hole. This is a great opportunity to meet new neighbors while supporting a local business. More info: online. Cost of purchases. Thur., Nov 15, 7 pm, Location TBD.Meet neighbors and get involved in the community during theJefferson Park Forward monthly meeting. Every month, JPF hosts their meeting at a different business or organization in the neighborhood. For location and more information, view their calendaronline. Free. Fri., Nov 16, 11 am, Austin-Irving Branch Library, 6100 W. Irving Park. Attend aMedicare Basics Seminar to see if you’re getting the most in Medicare benefits. Refreshments provided. RSVP: 844-808-8262.Free. Sat., Nov 17, 5-9 pm, St. Edward, Gymnasium, Sunnyside and Lowell. Boy Scout Troop 904 hosts their annual All You Can Eat Spaghetti Dinner. There will be a live performance byThe Cowboy Choir, raffle prizes, and a cash bar.$10/adult; $7/age 10 and under. Mon., Nov 19, 7:30 pm, Location TBD.Meet neighbors and discuss ways to become more involved in your community during the Portage Park Neighborhood Associationmeeting. Every month, PPNA hosts their meeting at a different business or organization in the neighborhood. For location and more information, view their calendaronline. Free. Tue., Nov 20, 11:30 am-12:30 pm, Portage Park Satellite Senior Center, 4100 N. Long. Diane Csajaghy, a neuro-endovascular and stroke nurse practitioner at the Presence Neuroscience Institute, will give a Stroke Presentation. Free. Wed., Nov 21, 6:30 pm, Gladstone Park, 5421 N. Menard. Learn how you can help further park development through volunteering, fundraising, and support during the Gladstone Park Advisory Council meeting. The GPAC meets every third Wednesday of each month. Follow them onFacebook to keep up on GPAC news.Free. Wed., Nov 21, 7 pm, 16th District Police Station, Community Room, 5151 N. Milwaukee. Learn what you can do about crime during the 1623 beat meeting. Find your beat at the45th Ward map. More info: 312-742-4521. Free. Thur., Nov 21, 7 pm, 17th District Police Station, Community Room, 4650 N. Pulaski.Learn what you can do about crime during the1722-1723 beat meeting. Find your beat at the 45th Ward map. More info: 312-724-4588. Free. Thur., Nov 21, 7 pm, Independence Park, 3945 N. Springfield. Help plan upcoming events and identify priorities to better the neighborhood park durin gtheIndependence Park Advisory Council meeting. Show your community pride and have fun in the process! Free. Tue., Nov 27, 7 pm, Pasta D’Arte, 6311 N. Milwaukee. Meet neighbors and get involved in your community during the Gladstone Park Neighborhood Associationmonthly meeting. More info: online.Free. Wed., Nov 28, 11 am, Portage Park Senior Center, 4100 N. Long. Want to make Portage Park more age-friendly? If so, please join in learning how a village project is trying to help isolated seniors in the community and how you can become a volunteer at the Portage Park Village Meeting. Parking and the entrance are located at Berteau and Linder. Free. Wed., Nov 28, 7 pm, Congregational Church of Jefferson Park, Basement Auditorium, 5320 W. Giddings. Meet neighbors and discuss how to improve your community during the Jefferson Park Neighborhood Association monthly meeting.Free.